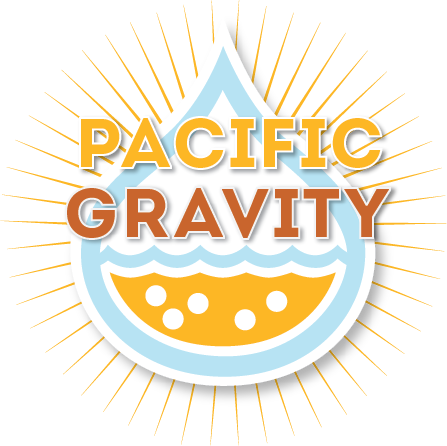 On March 8, 2014 Smog City Brewing Company and its Brewmaster, PG’s Jon Porter, will be hosting their first Pacific Gravity Monster Brew. Porter is bringing the tradition from Tustin Brewing where we have had several excellent monster brews in the past. PG Brewmaster Carl Townsend and Jon have developed a new base wort for this event. This year we are going for Kölsch-based recipe featuring Schill Kölsch malt. This will be a great starting point for just about any light-bodied beer. But, keeping with past monster brews, the recipe can be the base for whatever creative endeavor you might want to do. For you hop heads, boost up the bitterness with your favorite American hop tea to make an awesome IPA, or darken it up with chocolate malt to make a porter. Or, use your imagination to make the most awesome beer ever. Each person will pitch his yeast of choice, add adjuncts to the wort, dry hop in secondary, or do nothing special to it. For some great suggestions, see Carl’s article, How do I modify my wort from the Monster Brew at Smog City? The cost will be $30 for each 5 gallons of wort. Everybody will be guaranteed 1 batch, and if mash volume permits, a second batch. Please sign up as soon as you can, by dropping me an e-mail at [email protected] . Yeast and any additional ingredients you wish to add are not included. You can bring your yeast to the brewery, or pitch it at home. Payment for the event must be done in advance. We’ll be collecting money at the February meeting, or you can drop off a check at any time at Culver City Homebrew Supply. Be sure to include your name, telephone number, and E-mail address. Your last chance to reserve your spot will be February 28th, so Jon can plan out the batch size. Fermenters MUST be either plastic or stainless steel. Absolutely no glass fermenters will be allowed in the brewery due to the danger of breakage on the tile floor. You may bring small glass vessels with yeast or other additions, however. Please make sure you fermenter has a wide opening to we can use the fire hose when it is time to pour. Plastic buckets are ideal, but you can use a Cornelius keg if you want. Please do not bring skinny-neck containers. Our aim isn’t that good! In addition Jon will be supplying tasting samples of some of his fine brews during the morning. Cut off time for free pours will be 11am. After that, beer will be available for purchase. Join Strand Brewers at Stone’s AHA Rally in March! How Do I Modify My Smog City Monster Brew?